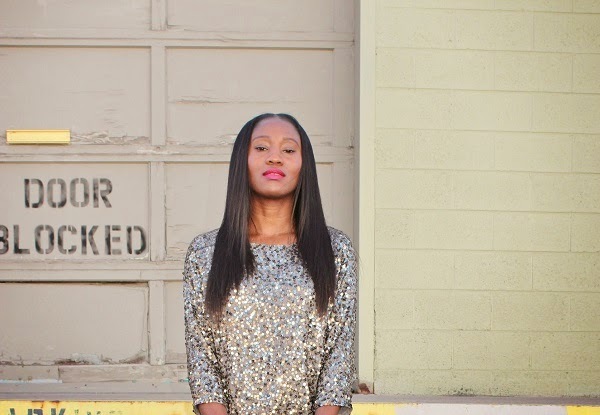 Sequin is definitely trending this spring and it compliments the current look quite well. On the racks are sequins in pale, muted and bright hues, I love them all. 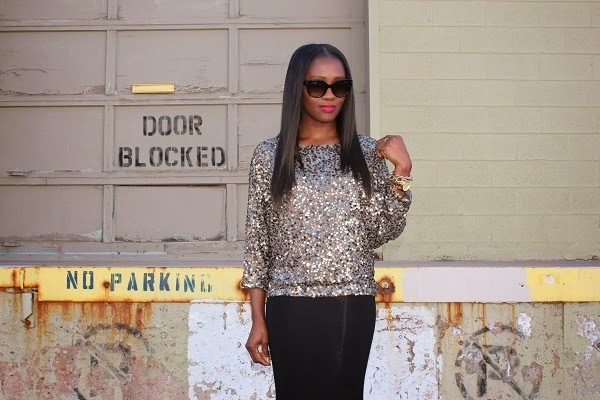 Continuing on my feature of sequin for the week is this black and gold number… More of an evening look. I paired a pale sequin bat wing blouse atop a midi tube skirt. A minimal but chic look… I hope you’ll enjoy it.